Jean-Baptiste, a survivor of the 1994 Rwandan genocide, wants his story told and remembered. I had the privilege to sit in his home and listen. Listen. It started with house burnings. Then cattle thefts. Then machete hacks and seven days in a pit, praying, surrounded by the dying and the dead. Ten siblings among the 800,000 lives lost. 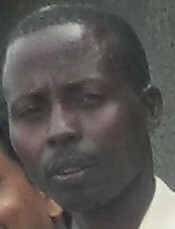 Jean-Baptiste says he is grateful now for life, but never free of pain. He builds the future by teaching his children a different way, acceptance and even love towards all. He tells his story as a form of healing. But, he says troubled, he once met some visiting “white people,” Westerners, who do not believe his story. I’m completely stunned. Yes, some deny the Holocaust – Lord, have mercy – but those horrific crimes were not televised like the Rwandan genocide. Did these white people somehow miss the unfolding genocide on global TV news? Are they hard-core media skeptics? Or too young to remember? Jean-Baptiste himself does not get much international news, and he implies that he sees mass slaughter as unique to Rwanda. In this view, perhaps genocide is completely new to the visitors, something never seen or heard. Perhaps that is why these white people failed to believe. However I need a different theory, because I believe that most white Westerners are plugged into a steady stream of media. Being uninformed about genocide seems unlikely, especially among those who travel. It seems more likely that these white people believed with their minds, but not with their humanity. I ask myself, where did the humanity fail? Were these white people among those who truly feel the pain of faraway tragedies, but get so overwhelmed by the world’s repetitive bloodletting and grief that their hearts eventually go numb? Or … did these white people keep Jean-Baptiste’s story at a distance because it was uncomfortably similar to their own? Did they recognize their own society’s past – or future – in his story of mass murder? Are their own people perpetrators? Or victims? Or … did these white people simply remain unresponsive, leaving Jean-Baptiste to wonder: If a fellow human being has not tried to help me in an emergency, have they really ‘believe’ that the emergency happened? Can true ‘belief’ exist without solidarity and action? I will never know the answer. It was not the right moment to ask Jean-Baptiste for more explanation. All I know is that in his experience, the whiteness of these visitors was directly related to their failure to believe. There was only enough time for me to tell Jean-Baptiste that I was very sorry he met some white people who did not respect his story…that I know other white people who do believe and respect it…and that I am one of them. I remain deeply grateful to Jean-Baptiste for inviting me, with a small group of friends, into his home earlier this year. It has taken me several months to ‘process’ the experience. And I will not forget.